Situated in the Middle East, Jordan is a country whose culinary influences emanate from the Mediterranean, North Africa and its surrounding neighbors. 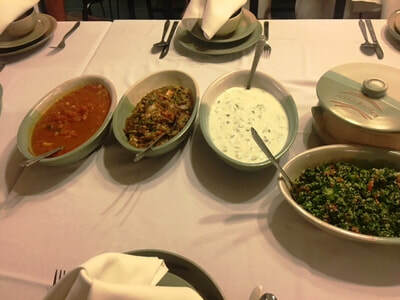 If you’re planning a visit to Jordan, you’ll discover many traditional dishes like hummus and falafel. 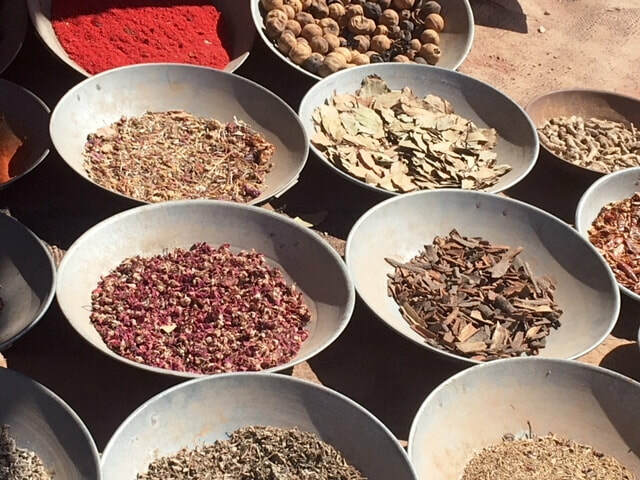 But the version you’re likely to taste may include local spices to give it a distinctive Jordanian flavor. Flatbreads, rice, lamb, olives and olive oil, za’atar, freekeh, bulgur, yoghurt and tahini are just a few of the ingredients found in traditional Jordanian culinary plates. When in Jordan, be a little adventurous! If you’re a salad lover, fattoush is the popular Arabic version. Enjoy lettuce mixed with various vegetables like tomatoes and radishes with toasted bread or toasted pita as a main ingredient. Adding fresh mint leaves and pomegranate juice makes it uniquely Jordanian. 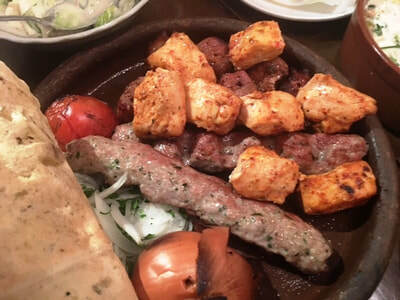 Kabobs are popular throughout the country, mostly made of spiced lamb with grilled vegetables and served with homemade bread. Mansaf is considered the national dish of Jordan, featuring rice, lamb seasoned with herbs and a dry yoghurt made into a sauce called jameed. The recipe takes hours to prepare, but becomes a part of the feast at social and cultural events. Don’t miss a spectacular experience in the Bedouin camps at a traditional Bedouin barbecue, called a Zarb. 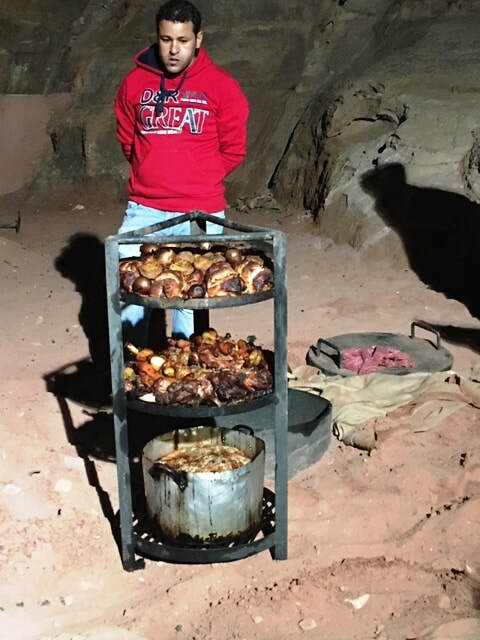 Here, lamb and vegetables are cooked underground in a metal oven and covered with a blanket and sand. When it’s ready, the oven comes rising up like a Phoenix, ready and piping hot for your dining pleasure. As the perfect end to a meal, popular desserts include baklava, knafeh and halva. Watermelon, figs, dates and cactus pear are also served for dessert. 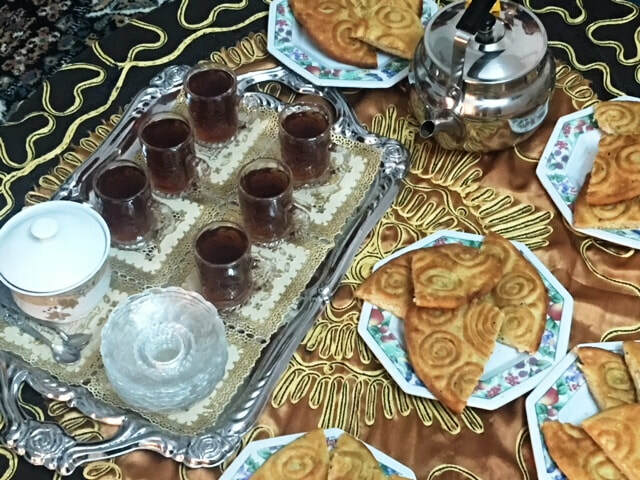 Coffee flavored with cardamom and tea, flavored with mint or sage are a favorite way to end the meal. While most of the coffee comes from Turkey, coffee is culturally a sign of welcome and hospitality. 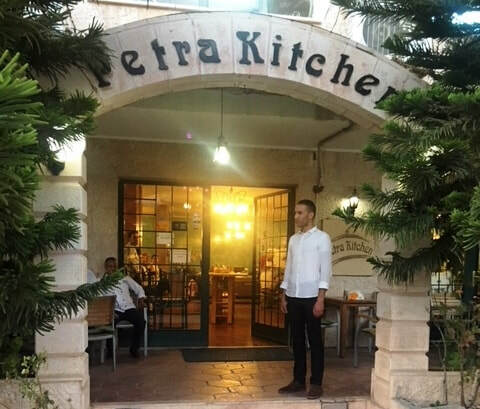 If you’re looking for the best place to taste a wide variety of traditional Jordanian dishes, head to Sufra in Amman. This elegant setting offers both indoor and outdoor seating. Explore the varied menu of Jordanian specialties like Kubbeh, fried balls of burgur and lamb paste, stuffed with meat, onion and pine seeds; Kibdeh, chicken liver, onion, garlic, coriander and lemon and Sujuk, traditional homemade sausage. Be sure to watch the baker making bread on an outside grill. It’s as much fun to watch as it is to eat. Be sure to bring home some olive oil, fragrant spices and tasty sesame cookies as a reminder of your culinary adventures in Jordan.